Rio weather today during our tour. 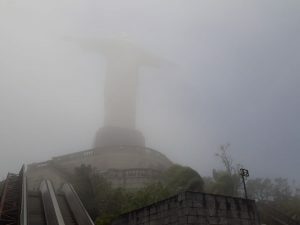 During our city tour in Rio today we had some fast changes in the weather. 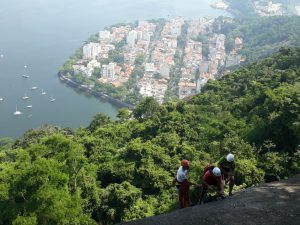 Specialy when we were visiting Corcovado. We had a lovely couple from the country side of São Paulo and started our tour from their cruise ship. It was a quick stop before heading to Salvador (Northeast of Brazil). 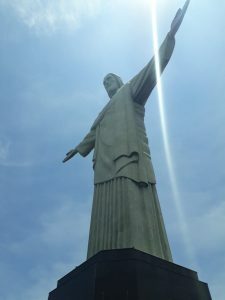 Because most of the tourists visit the Corcovado Mountain first (where Christ the Redeemer is located) we start our tour visiting the Sugarloaf. See below how beautiful the day was. People where even rock climbing at the mountain! Then we always make a stop at the Leblon's lookout point for pictures. 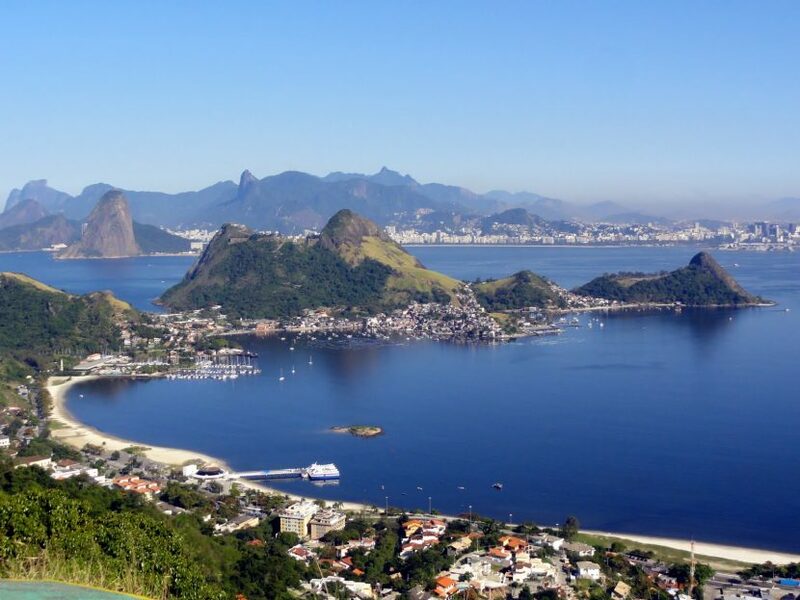 It is a great spot because we get to see the 3 most beautiful and well known beaches in Rio: Leblon, Ipanema and Copacabana. By the time we were going to visit Corcovado, the weather started changing...We were already on the train which take us to the top of the mountain. As you can see in our main page , we never take the vans to go up. We had then a coffee break also to wait a bit to see if we would have any change, any improvement at all. 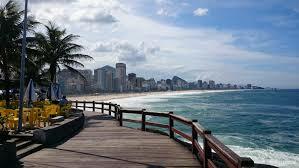 You can check the weather forecast in Rio here. Summer starts today in Rio de Janeiro, 21st December 2018.